Now Have a Way To Listen To Personalized Music Without A CD Player In MP3 Format. Download The Digital Content And Use It In iPads, iPods, Smartphones, Tablets, Thumb Drives And Computers Or Any Digital Device That Can Stream The Downloaded Content Via Bluetooth In The Car, Headphones Or A Bluetooth Speaker Or Any Enabled Receiver. If You Select To Receive The Digital Content, You Will Receive A Code With Instructions To Download Your Songs After Purchase In About 48 Hours Or Less. 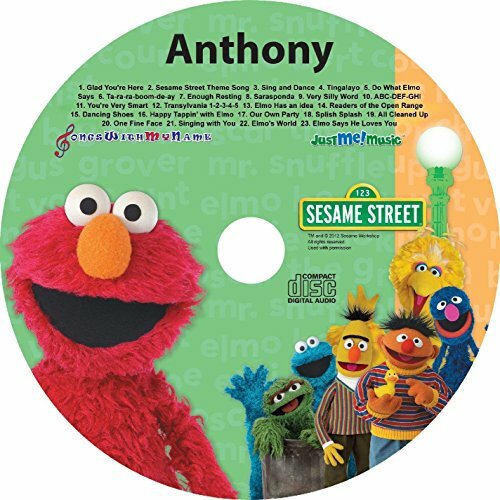 This Name Personalized children's music CD requires your Child's First Name and Phonetic Spelling (For correct pronunciation). Hear Bob Larry, and Junior sing and speak to your child over 25 times throughout this one of a kind CD! It will be an instant hit that they will listen to over and over. Watch their face light up as they hear their name sung and spoken by the original VeggieTales cast in a CD full of fun songs and lullaby's perfect for ages 5 and under! It will be an experience to remember!